Not sure how this was worn but it is in very good condition. There are a few very light spots at the very bottom that should wash right out. 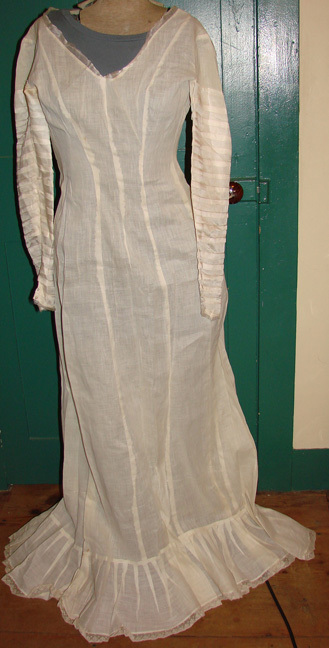 The sleeves are made from silk and the rest is cotton, with valenciennes lace trim. The back closes with hooks and eyes and there is boning at part of the back opening as well as one at each side. May have had a lacy dress worn over it. 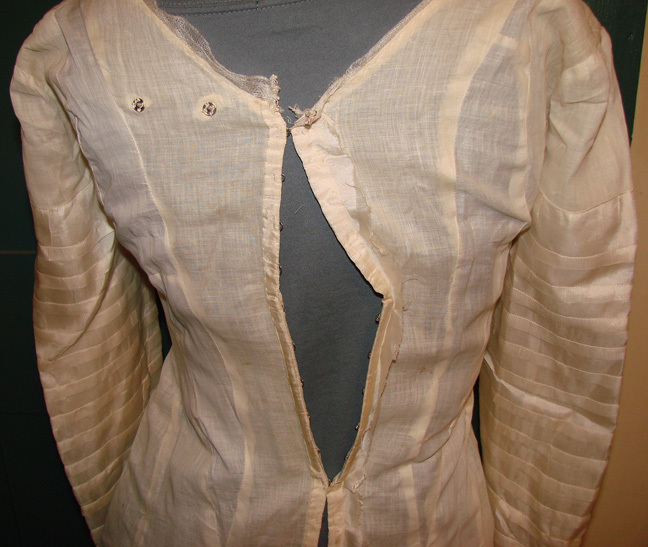 The back where the hooks and eyes are has silk covering it but the silk edges are not finished off. 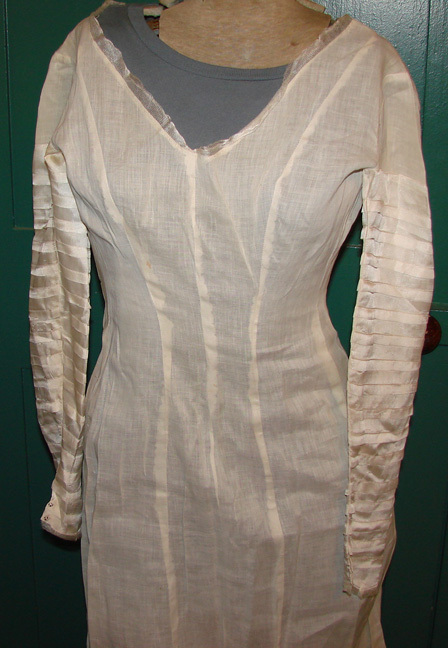 Measures: Shoulder to shouder (between the sleeves): 15 1/2"
Length from back of neck to bottom: 55"
This would have been worn beneath a dress. Think of this as would would think of a slip or shell today.